Toronto, ON – Voters in B.C., Quebec and Ontario are heading to the polls early and IAM political activists wasted no time ramping up efforts for these by-elections and the federal election in the fall. Prime Minister Justin Trudeau announced January 9th that by-elections for the ridings of York-Simcoe in Ontario, Outremont in Québec and Burnaby-South in B.C. will be held February 25th. 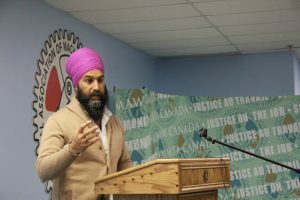 NDP leader Jagmeet Singh is hoping voters in British Columbia will give him a seat in the House of Commons. The Burnaby South by-election which was prompted by former New Democrat Kennedy Stewart vacating his seat to run for Mayor of Vancouver, which he won. Many observers feel this will be crucial test of Singh’s leadership. He will be up against Liberal candidate Karen Wang, Conservative Jay Shin, and Laura-Lynn Tyler Thompson of the new People’s Party of Canada. The New Democrats face a difficult battle in Outremont vacated by former NDP leader Tom Mulcair when he left politics last summer. Many feel the upcoming by-election could serve as an opportunity to measure how Québec voters view Singh. The NDP finished a distant third in the June by-election in Chicoutimi-Le Fjord and fourth in the 2017 Lac-Saint- Jean by-election. Julia Sanchez will try to keep the riding orange while Rachel Bendayan will run for the Liberals, Jasmine Louras is the conservative candidate and Daniel Green will run for the Greens, there is no word who will run for Maxime Bernier’s party. The riding of York Simcoe, incumbent Conservative Peter Van Loan has retired from politics. Business owner Scot Davidson will try to keep the riding Tory Blue, Shaun Tanaka will run for the Liberals and Jessa McLean will run for the NDP. 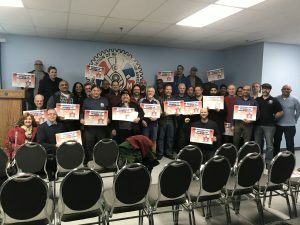 While the by-elections, especially the riding of Burnaby-South is of great interest to the Machinists, those attending the weekend Political Action meeting at IAM District Lodge 140, were laying the groundwork for the fall election.